Earl Harris Photography | I Shutter at the Thought! “Love for the beauty of the soul. I shall love you always. ever I shall find you. I shall be your spring time. I shall always find you…. The bromeliads by my front porch are in bloom and they remind me of my grandmother. She would always get so excited when they bloomed; she loved the big red cones of color this particular species puts out. They last only a few days in the Florida heat, but I enjoy every minute they make the path to my door a little brighter. I hope you like the photo. This is the last photo in what has become an unintentional series of images I’ve labeled “Turning Tables”. I didn’t set out to photograph empty tables in empty restaurants, but in the course of my photo-walk around Celebration Town Center, that’s what I saw; it’s what was present. I think this illustrates something very important about photographic creativity: being versatile, adaptive and aware. Admittedly, it wasn’t until I had captured the third image that I realized I had a theme going I could build upon. Sometimes it just happens that way, and I believe we have to let it. I find that some of the best photographs I produce are those which were spontaneous and unplanned; captured by chance in the course of doing something that was intentional. I hope you’ve enjoyed the photos. Here in America, we are observing Memorial Day today — a national holiday that recognizes and remembers those who died in the service of our country’s armed forces. 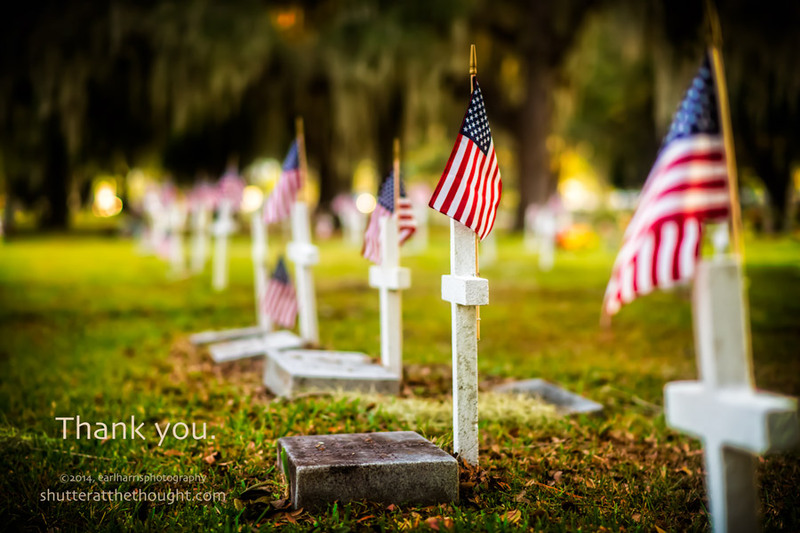 Originally known as Decoration Day, it is traditional for people to visit the graves of those who died in service and to decorate those graves with small American flags. It is a day in which we honor and show gratitude to those who gave their lives so that the rest of their countrymen could continue in theirs. Today’s photo is another in the new series I have spontaneously found myself working on, and which I’m calling A Grave Image. Let me know what you think. Click here for a large view. If you enjoyed today’s post, please share it with somebody. There are buttons below that make this easy to do. Thanks! This sun-baked cherub sits on a small bench next to an infant grave. Though recognizable, its character has been forever changed and scarred by wounds that time cannot heal but only deepen. I realized it is an illustration of the hearts of those who placed it here. The photo was initially processed in Lightroom 5, then Perfect Effects — a component of onOne Software’s Perfect Photo Suite 8 — was used to add a surface texture and alter the overall tone of the image. Booking family, individual, business and pet portrait sittings for 2014. 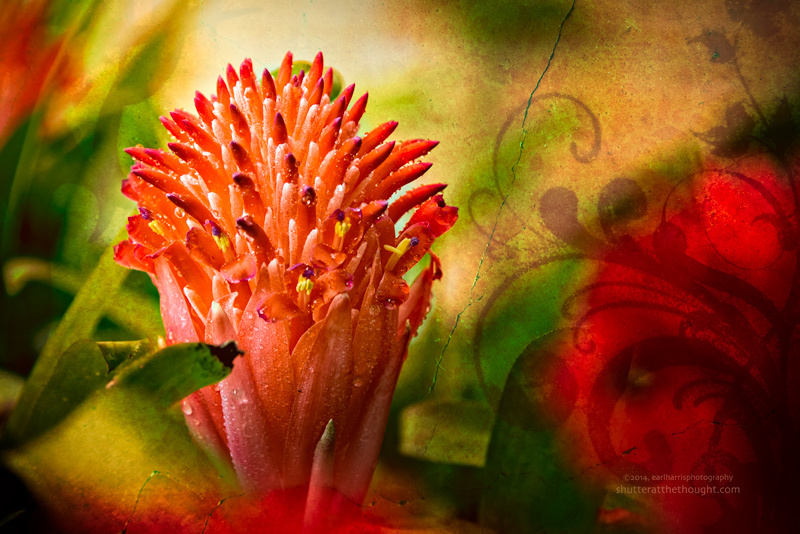 Click here to purchase a print (traditional, metal or canvas). Vote for this blog in the “2013 Cool Photo Blog Awards” with a single click here .